The rain that flattens my hair. It was grey but dry when we stepped down from the train and onto the platform of Manchester Piccadilly Station. In fact it was so fine that we decided to walk to the Victoria Baths, the beautiful venue for Manchester’s Independent Beer Convention. And so the rain hit us hard and fast about ten minutes before we arrived, it hit us hard enough to soak us through and leave us cold and damp as we hit the queue to get inside the event. And then the rain stopped and the sun came out. Just when it was too late. But none of this put me off the afternoon that I had ahead of me. 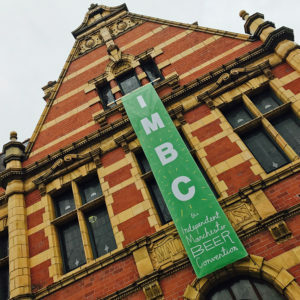 I’d not had a chance to visit IMBC before and had heard so many stories about how fabulous it can be. 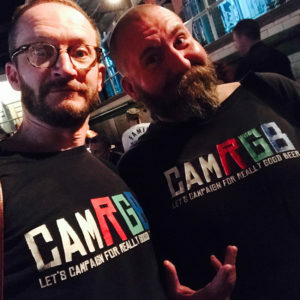 The event is split across three main halls, emptied swimming pools strewn with tables and bars and people, ante rooms hold hidden bars to explore, and out in the courtyard an enormous marquee houses – this year at least – The Wild Beer Co’s bar. Food stalls hug the edges of all the rooms, offering everything from oysters and crabs to fabulous cheese and meat boards and freshly baked bread. I started with a Northern Monk/Siren collaboration, a hoppy Porter – the info about the beer telling me that it was in fact a Coconut Black IPA, though I sensed no hint of coconut – that was a decent beginning but nothing to shout out about and we wandered around the venue to get our bearings. 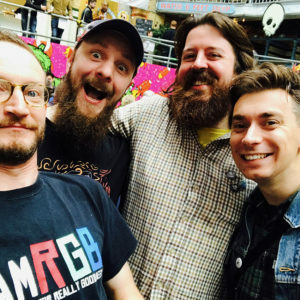 After a small and rather expensive snack, and after bumping into the first of a whole host of friendly faces, beer writer supreme Matt Curtis (@totalcurtis) amongst them, we headed deeper into the venue. It was at this point that I realised just how expensive IMBC was for a day out if one was to continue drinking in thirds, not to mention how liver crushingly dangerous it would become, and so rather than buying full glasses at a token a pop (roughly £2.40 a third), we asked for tasters at each of the bars that we visited, giving us a good couple of mouthfuls – just enough to get a sense of the beer – without breaking the bank and our insides. Instead we spent the tokens that we had on some fabulous charcuterie and the occasional full glass of carefully chosen beer. The madness that is Colin, Jay & Matthew. IMBC was full of friendly faces, some new and lots that I knew, and half of my time was spent catching up with people, including the delightful bear of a man that is Jay (@misterjk) of Quantum Brewery who’s Motueka Pale Ale tasted like fresh green tea leaves and was absolutely marvellous. I know I haven’t mentioned many of the beers that I tried during my afternoon in Manchester, but that’s because they almost became an aside to the event itself. An event that was ultimately spoiled for me by the sheer noise of the venue. The acoustics of the old swimming pool were such that all the babble built and built, amplified by the high ceilings, the glass and the tiles, noise bouncing off the walls and back into my head from every angle, and the constant rumble of music underneath it, just out of my hearing range to decipher what was being played, but audible enough to cause my tinnitus to make my inner ears physically itch, I found it so uncomfortable that it got to the point that it was all that I could think about. By the end of the session, head ringing, I was glad to leave and walk back into town to find something to eat – we visited This & That, a cheap and cheerful curry house hidden away down an alley in the centre of town and recommended to me by an old friend who is born and bred in the city – before jumping on a train for the two hour journey home. 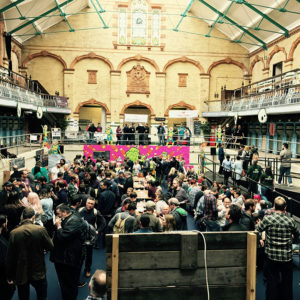 The Independent Manchester Beer Convention is a fantastic event, an event for discovery and fun and meeting new people, but if you go next year I suggest you take ear protectors. 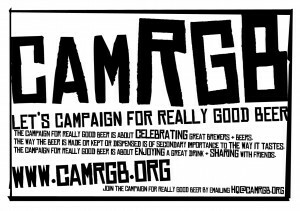 This entry was posted in Beer Events, Beer Review, Beer Travels, Brewery, CAMRGB and tagged 7.5% +, Beer, Beer Review, CAMRGB, Coffee, Craft, Double IPA, Drinking, Fruit beer, IMBC16, Imperial Stout, IPA, Manchester, Manchester Independent Beer Convention, Pale Ale, Porter, Saison, Stout. Bookmark the permalink.